For the second weekend in a row, I’ve gotten completely sucked into the 80’s miniseries North and South staring Patrick Swayze. Last week was North and South Book 1 and yesterday was North and South Book 2 (based off of John Jakes’ book Love and War). I remember watching both of these miniseries when I was a kid and have managed to get sucked right back into it all over again like I’ve never seen it. I’ve always slightly been fascinated by the Civil War but it might be because I grew up in the Land of Lincoln, 30 minutes away from Springfield, Illinois where every field trip I went on in school was somehow related to Abraham Lincoln. As if dedicating two Sundays in a row to the Civil War and Abraham Lincoln wasn’t enough, I proceeded to watch Killing Lincoln on Nat Geo last night before bed which let me tell you – was not a good idea. 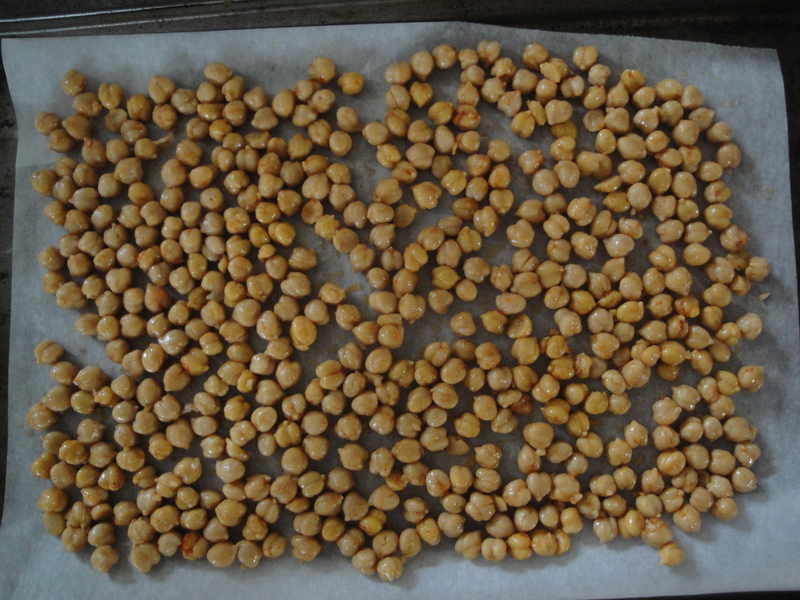 At some point, I did manage to make myself a snack of Crunchy Chickpeas, to keep me going through hours of, well, death. I guess it’s fitting since today is President’s Day, right? 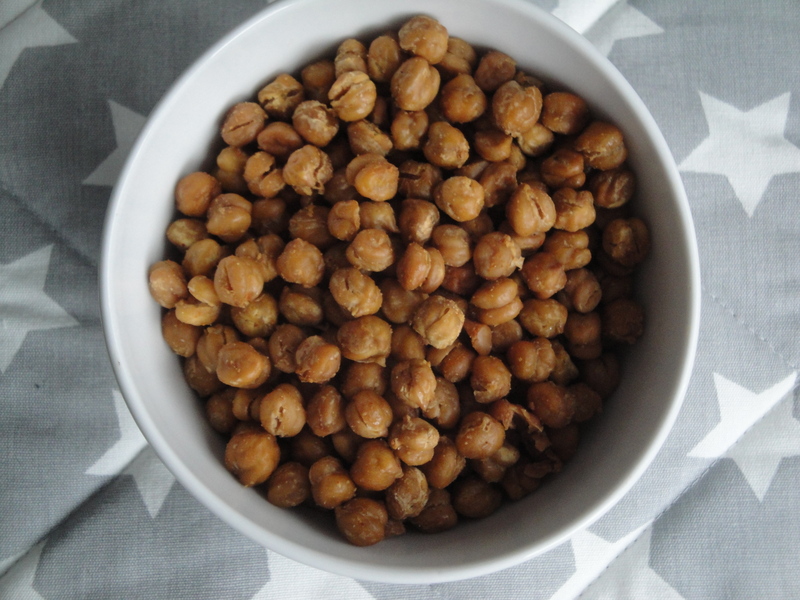 I’ve seen these chickpea snacks nearly everywhere – in magazines, on Pinterest and in food blogs so I figured, why not give them a try? They aren’t the simplest things to make but now I get the hype. 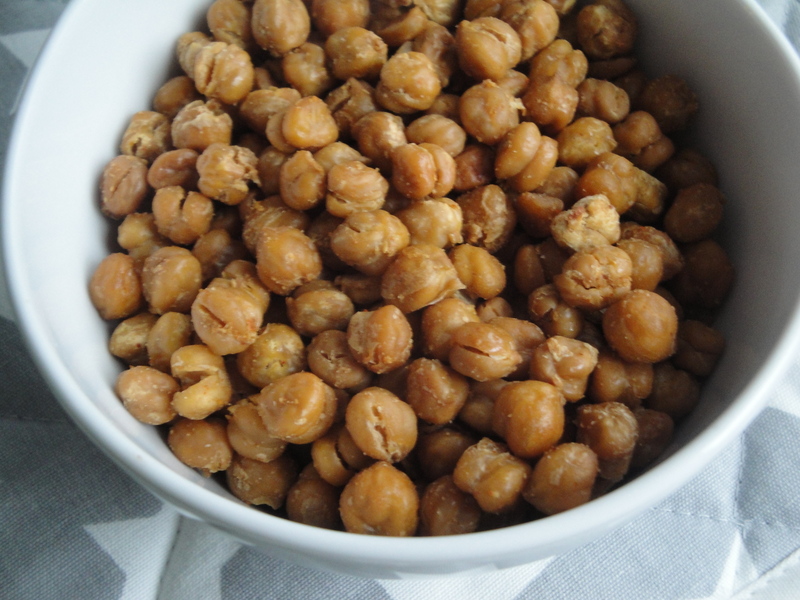 Canned chickpeas are tossed with garlic and seasonings and baked low and slow for a long time until crunchy on the outside but slightly chewy on the inside. Sounds simple enough but the beans first have to be drained and de-skinned. Hah..wahh? I never really paid attention to the fact that chickpeas have skin but they do. Lay them out on a paper towel, top with another paper towel and gently roll. Yes, roll. Those little pesky skins will slide ride off. But take my word for it, do this process in batches. Otherwise, you’ll be rolling and plucking skins all day. 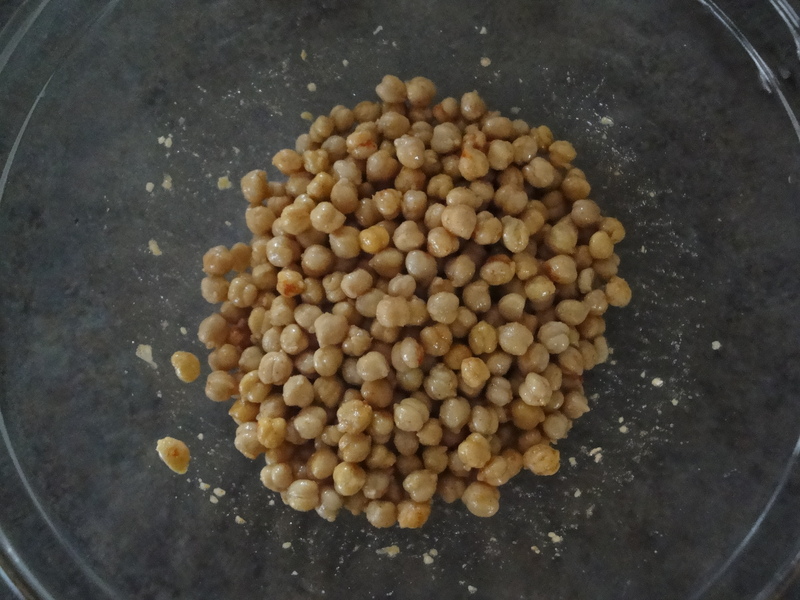 My first bite of these chickpeas, I wondered what was so great. But then, there I was, watching 80’s TV and popping these obsessively into my mouth. I can’t explain it what it is about these snacks but they are slightly addictive. 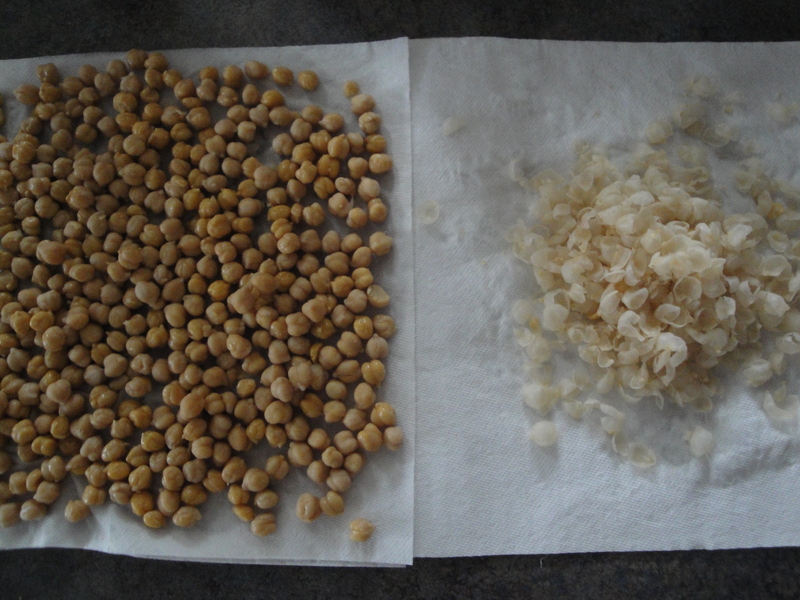 Wrap chickpeas in a towel; lightly roll to loosen skins. Discard skins. 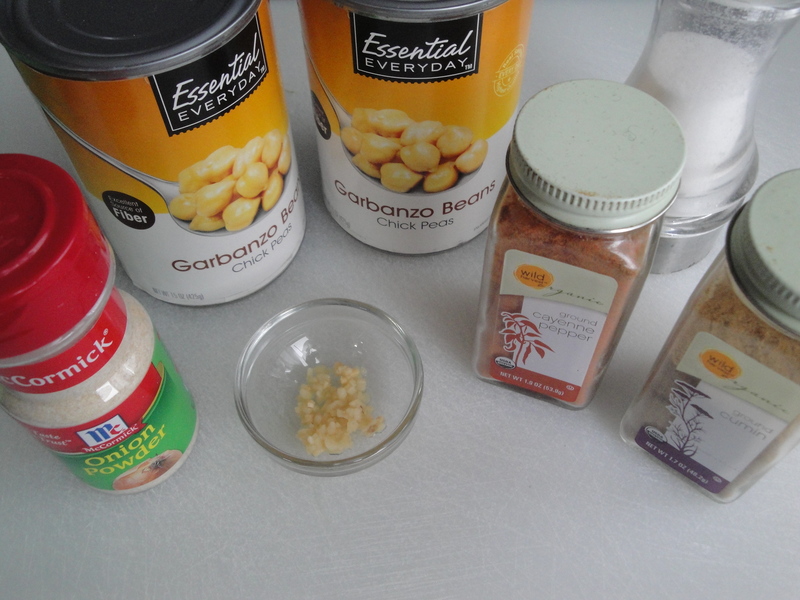 Combine chickpeas and remaining ingredients. Arrange on a baking sheet. Bake in a preheated 300°F oven for 1 hour and 40 minutes, stirring every 20 minutes.